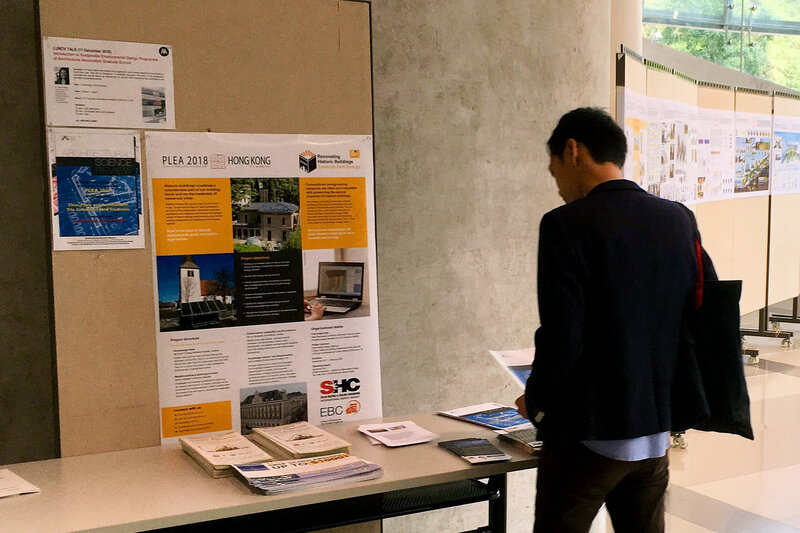 The 3rd International Conference on Energy Efficiency in Historic Buildings (EEHB 2018), which took place in Sweden in September, proved to be the perfect location to show the work of IEA SHC Task, Renovating Historic Buildings Towards Zero Energy. 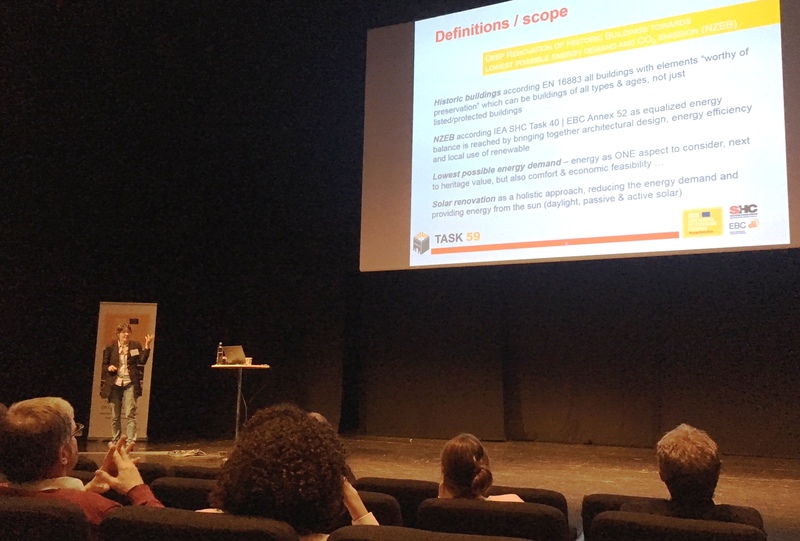 Task Coordinator Alexandra Troi, of Italian-based Eurac Research, presented the group’s current research activities in a keynote speech at the final plenary session (see photo). Additionally, Troi and her team used the PLEA 2018 conference, which is short for Passive and Low Energy Architecture, to expand their network to reach out to architects and practitioners from Asia. It was the 34th edition of this major international event, which was held in Hong Kong between 10 and 12 December. “We contributed 19 presentations to EEHB, the world’s most influential event on energy efficiency in historic buildings. It attracted about 150 attendees from 25 countries in 2018,” said Troi. “This shows that we formed a strong global research network in our task in only one year.” Attendees came from universities and research organisations (60 %), public agencies (30 %) and architectural firms (10 %). The flyer attached to this news article describes the objectives and structure of the project, which is planned to end in February 2021. PLEA 2018 provided researchers from the task with the opportunity to meet speakers and attendees from Asia and the Pacific. The three-day conference was held at the Chinese University of Hong Kong and was organised by PLEA, a global network of professionals whose aim has been to put sustainable architecture and urban design on the agenda of international conferences and workshops and in the spotlight of global publications. “At the conference, we met researchers and practitioners who carry out retrofits or determine the energy efficiency of historic buildings, with the aim of identifying best-practise examples for our online database,” said Daniel Herrera, researcher at Eurac, who attended PLEA 2018. The main objective of the IEA SHC research group is to find 50 inventive solutions that showcase the potential of retrofitting historic buildings. Ideas could be drawn from any project for which a heritage assessment has been conducted, technical documentation is available, and the retrofit has resulted in a significant reduction in energy demand. “We know that there are no general rules when trying to strike the right balance between improving energy efficiency and raising thermal comfort on the one hand and recognising the building’s historical value on the other,” said Herrera. In short, turning a historic building into an energy-efficient structure often requires individually designed and innovative solutions. The task researchers will have presented the case studies in a searchable online database before the end of 2019.